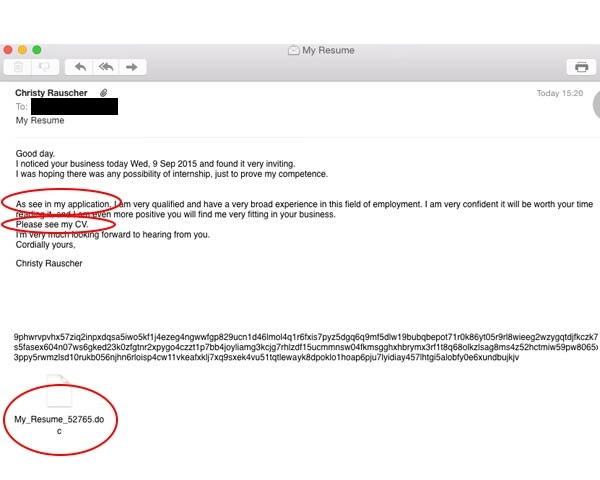 MailGuard has detected a new email scam using a .doc file infected with macro malware. This scam email is designed to look like an E-Toll notification. 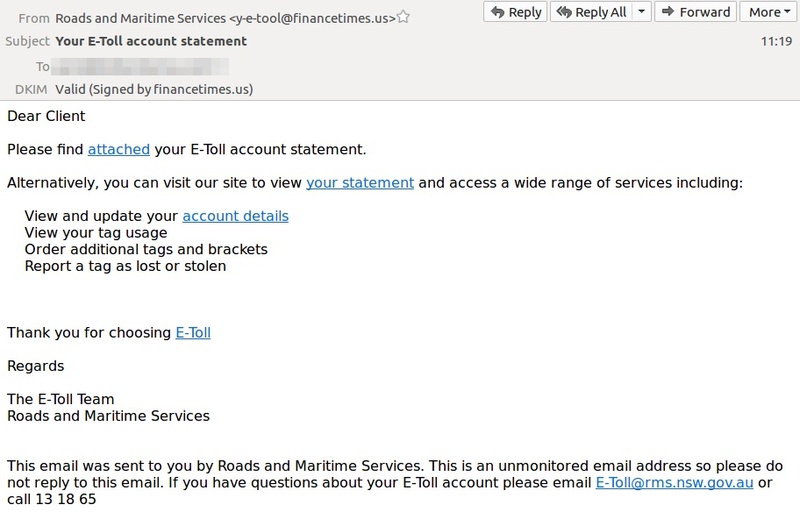 The message - as shown in the screenshot above - advises the victim to view their E-toll account statement but the attached .doc file is infected with a malicious macro which would download malware to the victim’s computer.